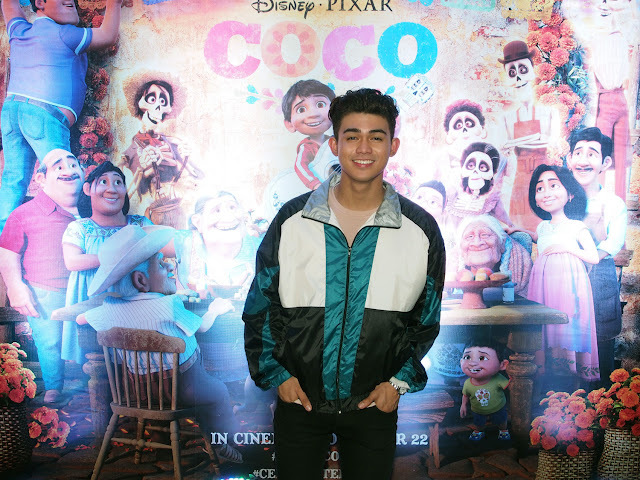 MANILA, Philippines, 18 November - The music video for Inigo Pascual’s version of “Remember Me,” the theme song from Disney•Pixar’s Coco, is now available for viewing on Vevo here. Despite his family’s baffling generations-old ban on music, Miguel (voice of Anthony Gonzalez) dreams of becoming an accomplished musician like his idol, Ernesto de la Cruz (voice of Benjamin Bratt). Desperate to prove his talent, Miguel finds himself in the stunning and colorful Land of the Dead following a mysterious chain of events. Along the way, he meets charming trickster Héctor (voice of Gael García Bernal), and together, they set off on an extraordinary journey to unlock the real story behind Miguel's family history. Directed by Lee Unkrich (Toy Story 3), co-directed by Adrian Molina (story artist Monsters University) and produced by Darla K. Anderson (Toy Story 3), Disney/Pixar’s Coco opens in Philippine theaters on Nov. 22, 2017. For more information, check outhttp://movies.disney.com/coco, Hashtag: #PixarCoco, Pixar Coco Facebook, Pixar Coco Twitter and Pixar Coco Instagram. 20 year-old Inigo Dominic Lazaro Pascual (more commonly known as Inigo Pascual) is one of the Philippines’ hottest recording artists today. He made his debut in the film Paano Kita Iibigin in 2007 and has since appeared in films such as Crazy Beautiful You and Relaks It’s Just Pagibigas well as ABS-CBN TV series Wansapanataym, And I Love You So andASAP.